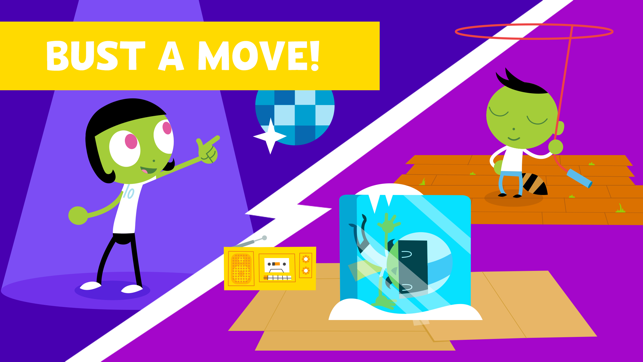 PBS KIDS Party App is a unique experience that gets you up and moving! 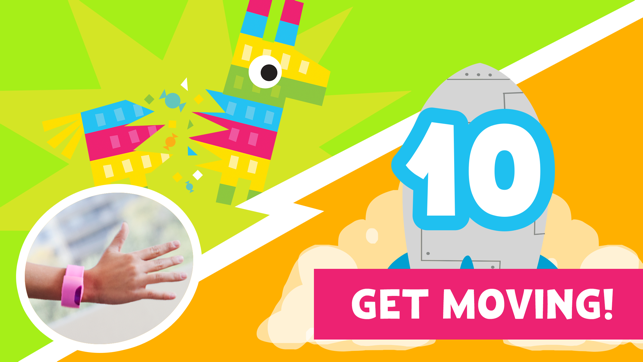 Whether you want to lead a game of freeze dance, swing to find party piñatas or count down to blast off, PBS KIDS Party lets your movements control each game. It’s party time! PBS KIDS Party app is powered by Moff and connects to the Moff Band, which is a kids wearable bracelet that relies on motion to play games and sounds. 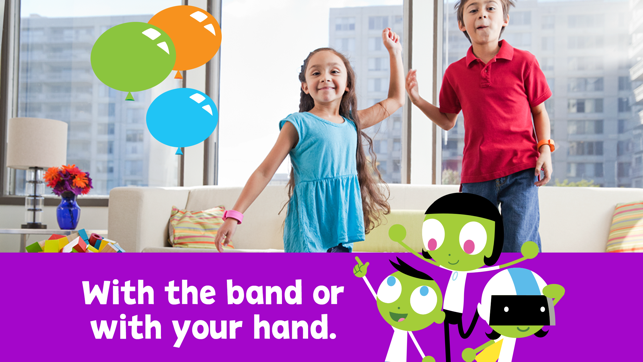 Connecting via Bluetooth, Moff Band allows kids to play the PBS KIDS Party app with a simple wave of their hand. You do not need the Moff Band to experience this app. 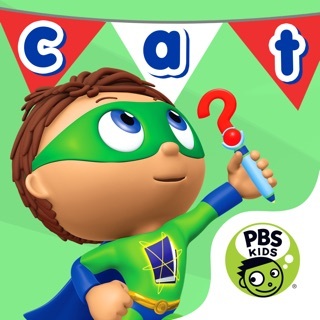 Kids can touch, swipe and tap through PBS KIDS Party app too. So, you can play with the band or with your hand! 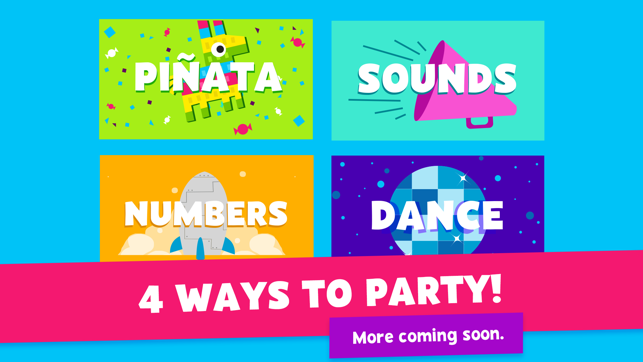 PBS KIDS Party has 4 different sections that you can dance to, move to, swing to and get creative to. Each activity encourages kids to move away from the device and be imaginative in how they play with each movement they make. - Dance: Do you love a dance party? 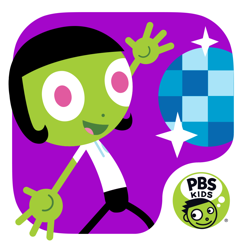 PBS KIDS Party Dance includes a game of Freeze Dance, where kids freestyle to eclectic country, disco or hip hop tunes. Be sure to stop when PBS KIDS Dot says freeze! Next, play the Follow Along game with Dot and master dance moves to the beat. 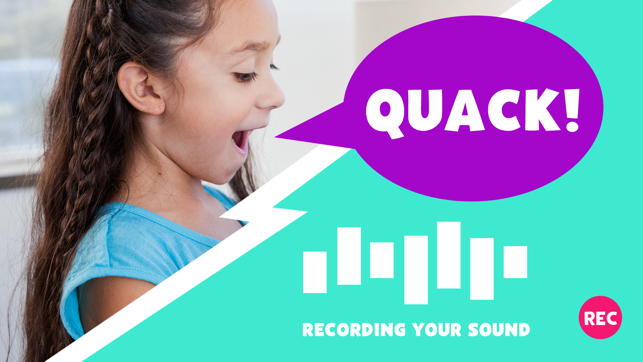 - Your Sounds: Get creative and record your very own sound. Move your arm to play back your sound and let the endless amount of creativity and imaginative play begin. - Piñata : Bring the excitement of a Piñata Party game to your living room! PBS KIDS Party Piñata includes Piñata Burst game, where kids swing their arm to try and break the piñata. Put your swings to the test with Piñata Party game and swing to break as many piñatas as you can before time runs out. - Numbers: PBS KIDS Party Numbers lets kids play with numbers through movement. Move your arm to count up to 50 to pop a balloon, or countdown to 0 to blast off a rocket ship. Count with musical notes, snowballs and more! More/Less game puts your number skills to the test. Move your arm to control the numbers and determine if they are more than or less than a certain number. Look out for more updates coming soon! 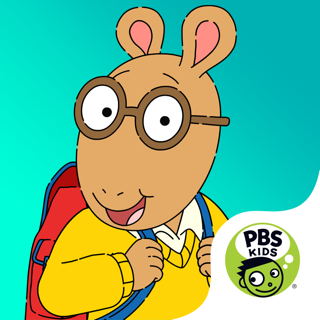 For more PBS KIDS apps, visit http://www.pbskids.org/apps. 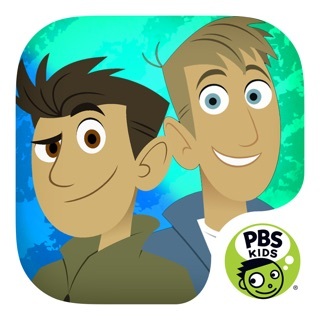 If you are having trouble connecting your Moff band to PBS KIDS Party, please look to the Info section of the app. This includes syncing instructions as well as helpful tips on how to play the PBS KIDS Party app. - Put your numbers skills to the test with the More than Less than game. - Check out the new Follow Along game- how fast can you go? 5 new levels! - Play musical notes and throw snowballs as you count to 50. Additional fixes include enhanced Moff band connectivity. If you love this app- let us know and leave us a review!